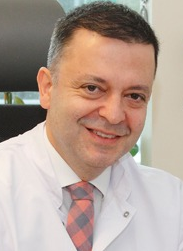 Prof. Dr. Ahmet Alanay is an experienced specialist in disorders of the spine. Dr. Alanay graduated from Bornova Anatolian High School and Ankara University Medical Faculty. He completed his residency in Hacettepe University Medical Faculty Department of Orthopedics and Traumatology between 1991-1996, and subsequently received his Orthopedics and Traumatology specialist degree. He then began working in the same department as Assistant Professor, and received his Associate Professor degree in 2002. Dr. Alanay has performed a fellowship at Kansas University Medical School (1998) and also served as a Visiting Professor at the UCLA Comprehensive Spine Center for one year during 2006. Dr. Alanay received his Professor degree in 2007 at Hacettepe University Medical Faculty.